The Madison Mallards closed out their regular-season home schedule by scoring six runs in the eighth inning to rally past the Fond du Lac Dock Spiders 11-7 in a Northwoods League amateur baseball game Saturday night at Warner Park. The Mallards (48-23, 20-15 second half), who close out their regular-season slate with a rematch today in Fond du Lac (39-30, 18-17), pounded out 15 hits and drew eight walks. Every Mallards player had at least one hit. 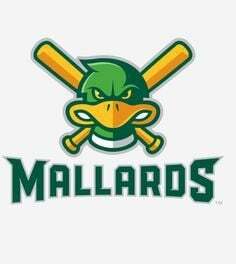 The Mallards, who allowed 14 hits and walked six, are 6-1 against the Dock Spiders this season. E — Ayers, Randa, Ragsdale. DP — Fond du Lac 2. LOB — Fond du Lac 11, Madison 12. 2B — Vinsky, Bigbie, Ober. HR — Bullock. SB — Erro, Prendiz, Ober. CS — Parquette. HBP — Bigbie (by Hubbe), Ober (by Brown) WP — Horton, Cook, Brown, Rogen, Reyes. PB —Parquette. T — 3:51. Att. — 6,750.